Ozan Kabak is about to join Bundesliga side VfB Stuttgart. At least judging by Galatasaray’s official homepage where an impending deal has been announced. The Turkish side are registered on the Turkish stock exchange and, similar to Borussia Dortmund in Germany, have to issue an ad-hoc disclosure to their shareholders in the case of a significant transfer. In this case, Galatasaray announced that they are negotiating a deal for the 18-year-old Turkish defender. “We wish him all the best,” Galatasaray President Mustafa Cengiz added suggesting that a deal was imminent. Experience the top European leagues live! Book your European football travel now by visiting Nickes.com! Stuttgart are understood to pay in the region of €12 million for the 186cm tall defender. Ozan Kabak had an exit clause of €7.5 million, but Stuttgart were required to pay more to beat out other clubs, such as Watford, that were also interested in signing the talented defender. It is the most that Stuttgart have ever paid for a player beating out summer transfer Pablo Maffeo (€10 million). Furthermore, it is a transfer with some implications as it could also impact another defender in Benjamin Pavard, who might join Bayern München early after a summer deal for the French national team defender was announced in December. Born in Ankara Ozan Kabak is a Galatasaray product. The defender joined Galatasaray aged 11 in 2011 and signed his first professional contract with the club on July 1, 2017. A youth international Ozan Kabak has also played for the U-15, U-16, U-17 and U-18 of his country. The defender played his first professional game for Galatasaray in the Süper Lig last season. But he failed to leave much of an impression on the pitch as he was given just a few seconds on matchday 33 against Malatyaspor. Playing in 13 Süper Lig matches (1,084 minutes) and four Champions League games (360 minutes), no goals and assists, Ozan Kabak has been a major part of Cimbom’s first squad. In fact, the 18-year-old has been one of the few bright spots of Galatasaray’s season thus far. Winners of the 2017/18 Süper Lig Galatasaray have struggled to keep pace with the top of the table. Currently, just in the fifth spot with 29 points, Cimbom are six points behind league leaders Basaksehir. 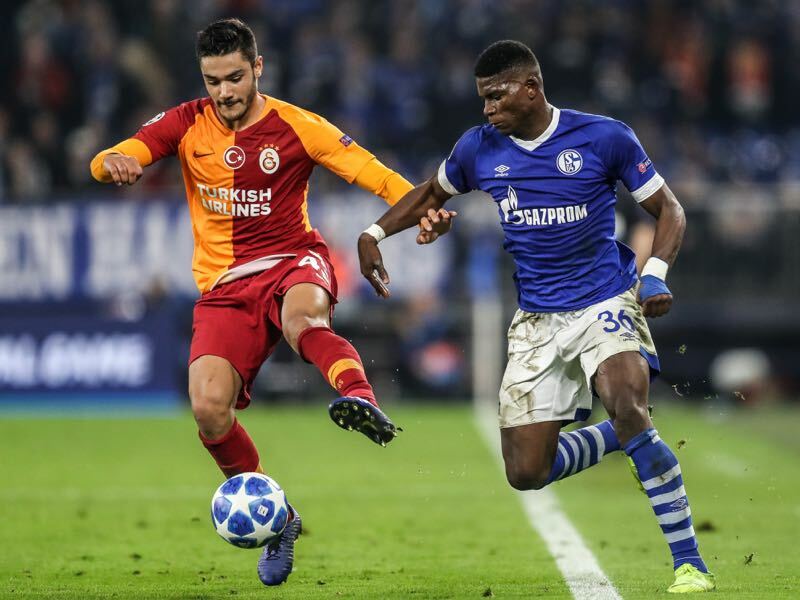 Results have not been much better in the Champions League where Galatasaray where drawn in a group with Schalke and ultimately finished third behind the Germans. Although he has been kept off the scoresheet when playing with Galatasaray’s senior side, Ozan Kabak is can be a dangerous weapon when going forward. In 40 youth international games, the defender managed 13 goals for his country. Right-footed Ozan Kabak has been mostly deployed on the right of a centre-back pairing. Based on the 2018/19 season the defender averages 83.35 actions a game of which he completes 73.5%. A strong passer Ozan Kabak can play the ball out of the back with a success rate of 89.8% for all passes and a long pass accuracy of 52.5%. Furthermore, Ozan Kabak was involved in 19.67 duels winning 46.5% of them. Numbers that compare well to put up by Benjamin Pavard this season. The French defender was involved in 69.08 total actions over 90 minutes this season. The 22-year-old French defender played 46.88 (86.3% completed) and was engaged on average in 13.67 duels (40.6% won). On a first glance, Ozan Kabak outclasses the French national team defender. But the 18-year-old put up his numbers in the Turkish Süper Lig for one of the best clubs in the country. Hence, to get a better picture, it is worth isolating his stats to the four games he played in the UEFA Champions League this season. Here Ozan Kabak has been sensational despite Galatasaray’s apparent problems. The 18-year-old completed 75.3% of his on average 94.24 actions per 90 minutes. Completing 92.5% of his on average 63.14 passes, 52.3% of his on average 4.95 long passes and winning 47.5% of his on average 23.32 duels. Hence, going by his Champions League numbers this season VfB Stuttgart have found a gem in the 18-year-old defender. In fact, Ozan Kabak could be ready to step into the first team right away should the Swabians sell Benjamin Pavard. But even in the case of the French defender staying until the end of the season, Ozan Kabak could add some much-needed stability in a shacky Stuttgart defence that has conceded the second most goals behind Nürnberg (38) this season. Mats Hummels – What is next for the Bayern star?